These species are very beautiful with outstanding abilities and qualities. 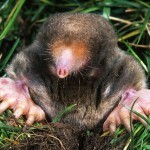 Despite being apparently blind these moles have a star-shaped nose that actually helps them to sense things. They are among the only living species in the Condylura family. The nose of these species act, as a powerful sensory organ because these help them to see. The Guinness Book of World Record has stated that these species are in the list of one of the fastest hunters. It is said that these species hunt and have their victim so fast that it is almost impossible for even humans to follow it. The tentacles of these species are six times faster when compared to the human hand. The blackish brown fur of these species helps them to be warm during winter. This prevents freezing of their body. The clans of these species are called the Labor, Company or Movement. The tentacles of these species help them to feel the electric pulse from their victim while the brain functions at a very rapid speed. These species are originally from the northeastern parts of the US & Eastern Canada. In addition to this, they are also found in the Minnesota, Labrador, Qubec etc. Moreover, they also inhabit in the regions of Appalachian Mountain and on the Atlantic Coast extending up to the Southeastern Georgia. 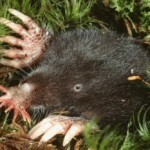 Color of Star Nosed Mole: The color of the mole is blackish brown. Size of Star Nosed Mole: The length of these species varies within 15 – 20 cm. Weight of Star Nosed Mole: The weight of the mole is about 55 gm. 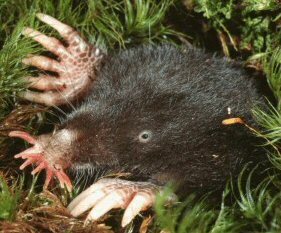 Body of Star Nosed Mole: These species have long tail and a water resistant fur. 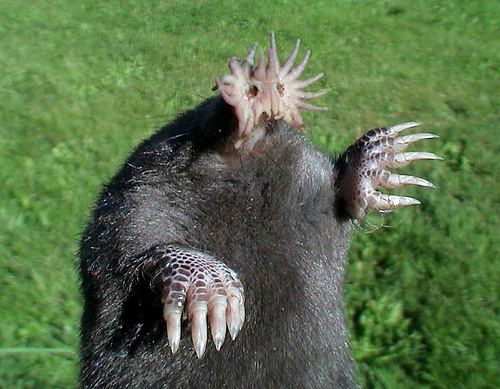 Legs of Star Nosed Mole: These moles have four legs dotted with scales. 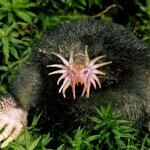 Head of Star Nosed Mole: These species have eyes but not good enough to provide them clear vision. They mouths have of 44 teeth. 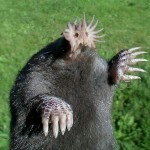 Nose of Star Nosed Mole: As compared to other moles these have one of the most noteworthy characteristics. These species have pink tentacles that make its nose similar to a star. These species dwell in both wet areas as well as land surface. They can swim long distances in search of prey. However, like to spend several hours on the land surface. These species are active during both day and night and even during winter. The tails of these species preserve fat especially in the breeding months of spring. They prefer to live together forming colonies. These species like to have small insects & fishes. At other times, they can also go for ants, beetle snails, and mollusks for their diet. These species like to inhabit in the wet areas. One can also spot them in wet meadows, lakes, streams and banks. These moles create tunnels underneath the water. 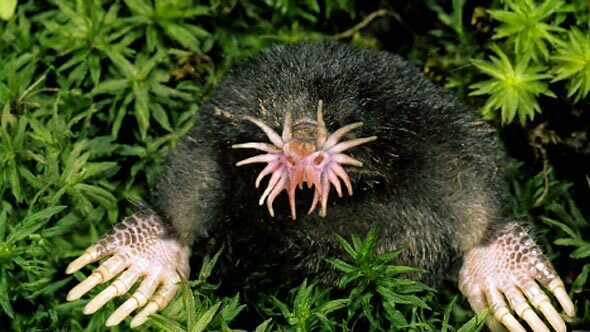 Star nosed mole usually mate in the middle of March and April. The females reproduce only once a year. However, the females may also reproduce for the second time at an unsuccessful first time. Each litter contains 2 to 7 babies. At birth, these species have ears, closed eyes and folded tentacles. Their organs usually become active only after 2 weeks of birth. The juvenile gets independent after one month from their birth. It usually takes about 10 months for the offspring to become matured. 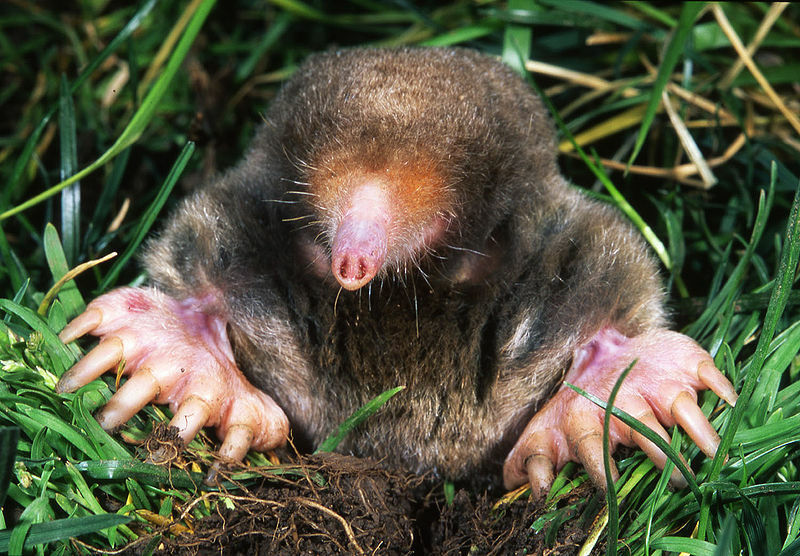 The common predators of star nosed mole comprise of hawks, skunks, owls, minks, weasels and snakes. The most interesting adaptive features of these species is the nose that helps them in place of the weak eyes. These species can locate 13 separate dots in one second with these tentacles and can spot their victim with these touch receptors. The fur of these species helps to withstand water. There are tentacles that covers up the border of the nose consist of the 25, 000-touch receptors. It is said that German Zoologist Theodor Elmer was the first one to notice the presence of these receptors first in the European Mole. They like to run after insects, invertebrates etc. and can chase these preys with these tentacles. They usually touch their prey to comprehend whether the prey is edible or not because it saves time. In fact the total duration of their chasing procedure takes about 230 milliseconds. These species are said to live for about 3 to 4 years. According to the reports of IUCN, these species are in the category of the less important in the endangered list.